"It is amazing how one University can have such an impact – but there is little I have accomplished that can’t be traced back at least in part to either my parents or the University of Illinois. Both taught me that there are no boundaries to what I can do." Dr. Laura Kann completed her bachelor’s degree in school health and safety education in 1982 and her master’s degree in health education in 1983 at the University of Illinois. She received her doctoral degree in health behavior with a minor in measurement and evaluation from Indiana University in 1987. Since 1987, Laura has worked in the Division of Adolescent and School Health, which is part of the Centers for Disease Control and Prevention’s National Center for Chronic Disease Prevention and Health Promotion. She currently heads the Surveillance and Evaluation Research Branch. With interests in domestic and international school-based survey research, she manages the Youth Risk Behaviors Surveillance System, which monitors health-risk behaviors and the prevalence of obesity and asthma among youth and young adults; the School Health Policies and Practices Study, a periodic national survey which assesses school health policies and practices at the state, district, school, and classroom levels; School Health Profiles, a biennial survey of middle and high school principals and health education teachers in states, large urban school districts, territories, and tribal governments; and the Global School-based Student Health Survey, which was developed by the World Health Organization to provide data on health behaviors among 13- to 15-year-old students. Laura is the co-author of more than 80 peer-reviewed journal publications, as well as numerous CDC publications and peer-reviewed national and international conference presentations and posters. 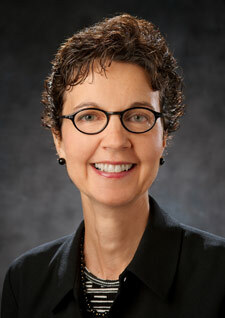 A past president of the American School Health Association, she has received more than three dozen professional awards, including the Division of Health and Human Services Secretary’s Award for Distinguished Service, the Patty Distinguished Alumni Award from Indiana University, the CDC Honor Award, and the Young Professional Award from the American Public Health Association’s Maternal and Child Health Section.